John G. Paton spent his life telling two stories. First, he told the story of God’s bringing salvation to sinners through the death and resurrection of His Son. But he also told the story of how God used him and other missionaries to bring a little heaven to earth as the gospel of Jesus Christ took root among the violent and pagan people of the New Hebrides. In his autobiography, as Paton tells the latter, the prior story of God’s redeeming grace is ever in view. The result is a book as God-glorifying and edifying as it is full of human drama and excitement. John G. Paton (1824-1907) was born in Scotland into a poor but happy, and deeply devout, Christian family. As a young man ministering in Glasgow as a city missionary, he heard the “the wail of the perishing Heathen in the South Seas” and was thus compelled, in obedience to God’s call, to pursue foreign missionary service in the South Pacific. In 1858, Paton, with his wife Mary Ann, left Scotland for the New Hebrides, being sent there by the Reformed Presbyterian Church in Scotland. 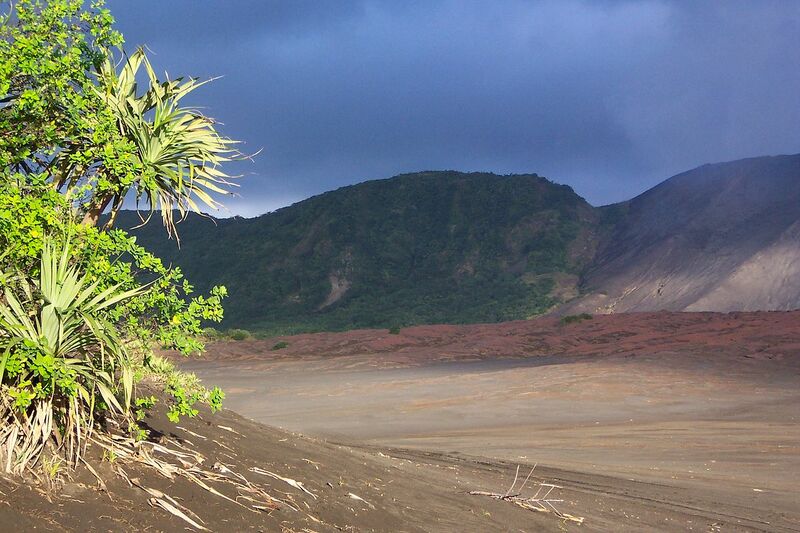 The New Hebrides, now named Vanuatu, are a collection of some 30 islands, then populated by mostly unreached tribes. Missionaries had enjoyed some success on one island, Aneityum, but the gospel had not penetrated far beyond that. In fact, in 1839 two missionaries from the London Missionary Society, upon landing on the island of Erromanga, were immediately clubbed to death and eaten. Not exactly a Macedonian call – “come over and help us” (Acts 16:9)! Indeed, the extreme danger of death finally forced Paton to leave his first mission outpost on the island of Tanna (pictured above) in 1862. He had been there four years, had buried his wife and son there, and left with little visible fruit from his gospel labors. Later, however, Paton would go on to see the grace of God transform the entire island of Aniwa as the people there embraced the good news of Christ. It is this power of the gospel that so impressed me as I read Paton’s book. He paints a graphic portrait of a people without the light of God’s Word – idolatrous, savage, vengeful, superstitious, cruel, sad, and hopeless. Yet through the faithful preaching of Christ, and Paton’s loving service among the islanders, an amazing change took place. People began to forsake their sinful customs (for example, polygamy and interminable blood feuds), to worship the Lord, to keep the Sabbath, to read and learn God’s Word, and to order their families and society in its light. Every Christian can be encouraged from Paton’s story of the power of God not only to save sinners from sin and death, but to transform lives in the process. The extraordinary nature of the man himself also struck me. 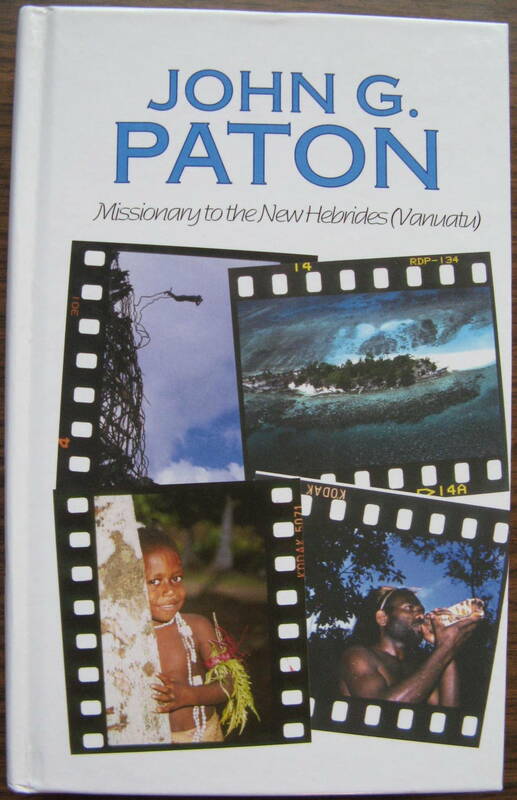 Paton seems to have been a man not only of great courage and vision, and a minister whose labors were uncommonly blessed by God, but a man who was utterly given over to one all-consuming purpose and passion in life: to make Christ known to the people of the New Hebrides. When I didn’t feel puny in comparison, I was inspired to seek God’s grace that I might have this same laser-like focus so evident in Paton and best expressed by the Apostle Paul: “But one thing I do” (Phil. 3:13). I also found Paton’s eventual fame fascinating. He not only became a household name throughout the Protestant Christian world (he writes how Spurgeon, with “genial humor”, saluted him as “the King of the Cannibals!”), but even held audiences with the rich and powerful, including the U.S. President. It’s hard to imagine a missionary today enjoying such celebrity status. I suppose the closest thing in my lifetime is the fame of Mother Theresa, though she is more famous for helping the poor generally than for being an evangelist for Christ. After having read the book, I only wish it could be reworked a bit to round out Paton’s story and update it for people today. Paton tells many, many stories – almost too many! – but next to nothing about his family or personal life (no mention of ten kids!). I understand the letters written by his second wife, Margaret Paton, help fill in that gap (see Margaret Paton – Letters from the South Seas). And much of the book is taken up with his fund-raising travels throughout the world. His details of how many pounds this church or that person contributed gets tedious after a while. Ideally, a biographer would combine the best of John Paton’s autobiographical material, preserving Paton’s own words, with information from other sources to make one single, readable book on his life and work. It’s a story that needs to be told and heard today, because it is a testimony of what incredible things God will do through his people when we faithfully seek to make Christ known to others.